Businesspeople are expected to wear suits. It is advisable to make prior appointments and business cards are often exchanged. Avoid business visits during Christmas and New Year, Easter week and July and August. Luxembourg is one of the most prosperous countries in Western Europe. Two very different industries (banking and steel) have historically been the mainstays of the economy. The steel industry has ceased to be so dominant as other industries, notably chemicals, rubber, plastics, metal products and light manufacturing have prospered. The banking and finance sector is also in a healthy condition: companies originally attracted to Luxembourg by favourable banking secrecy laws and low taxation have prospered despite the gradual harmonisation of taxes and tariffs across the EU. There is also a small but healthy agricultural sector mainly producing crops. In 2010, growth was 3.4%, with inflation at 2.1% and unemployment was 5.5%. 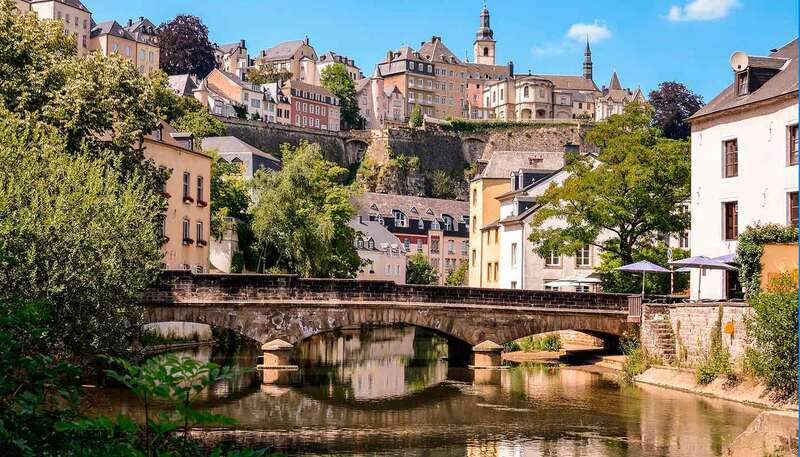 The Luxembourg economy has long been linked with that of Belgium, initially through the 1921 economic union, supplemented by a further treaty in 1958 and latterly, by mutual membership of the EU. Luxembourg was an inaugural adopter of the Euro at the beginning of 1999. The location of the Grand Duchy of Luxembourg at the heart of the EU ensures its status as one of the most popular destinations for conferences and conventions in Western Europe. Machinery and equipment, steel products, chemicals, rubber products and glass. Minerals, metals, food and quality consumer goods. Germany, Belgium, France, China and UK. Public telephone boxes are becoming fewer in number as the growth in mobile phone use reduces the need for them. Using one requires either a phone card (available from newsagents and post offices) or a credit card. Coin-operated phones have been phased out. There are few internet cafes in Luxembourg, but most hotels offer Wi-Fi services either free or for a small fee. The internet terminals in Luxembourg City’s municipal library (off Place d’Armes) are free to use. Many cafés are also free Wi-Fi hotspots. Hot City (www.hotcity.lu/www_laptop_en) is a pay-to-use wireless network accessible throughout Luxembourg City. Luxembourg has a long tradition of operating radio and TV services for pan-European audiences, including those in France, Germany and the UK thanks to the Luxembourg-based media group RTL. Today, RTL's television and radio stations (RTL Tele Letzebuerg and RTL Radio Letzebuerg) remain key players in media markets across Europe. The country is also home to Europe's largest satellite operator, Societé Européenne des Satellites (SES), which operates the Astra satellite fleet. Nordliicht TV broadcasts in northern Luxembourg. Other radio networks include Den Neien Radio, a commercial network, Radio ARA, which has music and some English-language programmes, EldoRadio which broadcasts pop music and Honnert,7 (100.7), a public, cultural station. There are several daily newspapers including the Luxemburger Wort and Tageblatt. The website of the former (www.wort.lu) has an English-language version 352 (www.352luxmag.lu) is a regular publication in English, but it no longer printed in paper format. Instead, magazines can be downloaded via the website. Freedom of speech is guaranteed by the constitution. Post to other European destinations takes two to four days; to the USA allow for three to seven working days. Mon-Fri 0800-1200 and 1330-1700. Smaller offices may open for only a few hours.